You don’t need to take out a second mortgage for a DSLR to take great photos. Here are our favorite cameras that will do it for under $300. While it would it would great spending $500 or more for a digital camera, getting the most bank for buck makes at lot of sense today—or anytime. What follows are 10 digicams that go for less than $300 online or in stores–and take great photographs. You won’t find any barebones sub-$100 cameras here simply because, for the most part, they’re not worth it even at the low price. Spend a bit more for a solid camera and you’ll have photographic payoff that’ll last for years. This model proves you don’t have to bust your budget for a solid digicam. Available for less than $199, the 10-megapixel SX120 IS has a powerful 10x zoom meaning you can take nice people shots and great close-ups–the range is 36mm to a whopping 360mm. Running on easy-to-find AA batteries, the SX120 IS is as simple to operate as you’d like but also offers advanced options such as aperture- and shutter–priority modes as well as manual, features not typically found on such affordable cameras. 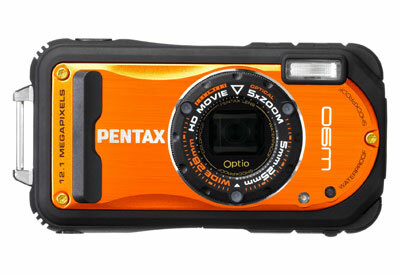 Optical image stabilization helps you capture tack-sharp images and the 3-inch LCD makes framing shots a breeze. The only real drawback is the lack of HD video but you can still take 640×480 VGA clips. Casio is known for its ultra-thin point-and-shoots but they’ve broken new ground with their latest line-up of high-speed cameras. In the case of the EX-FH100 (around $289) that means you can shoot action subjects such as kids playing soccer at 40 frames per second—light speeds faster than typical compacts. The camera uses a new 10-megapixel CMOS sensor to make this magic happen. 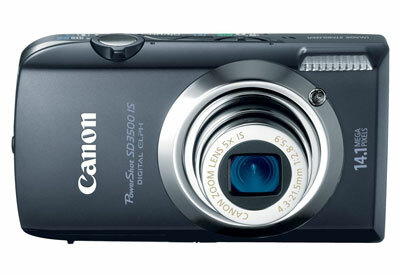 It also has a 24-240mm 10x optical zoom, a 3-inch LCD screen and takes good quality DVD-level videos. One of DigitalTrends.com’s favorite new camera features is Sony’s Sweep Panorama. To grab beautiful vistas you simply press the shutter while “sweeping” across the scene. There’s no need for extensive post-processing on your computer—the panorama is stitched together in your camera. The feature first appeared in expensive models (naturally) but now it’s available in the very affordable ($179) 14-megapixel W350. Along with Sweep Panorama, the digicam has a 4x zoom (26-105mm), high-quality optical image stabilization, a 9-point auto focus system and a 2.7-inch LCD screen. DigitalTrends.com reviewed this camera and liked it a lot. We found that for around $299, the S8000 is a very good, lightweight 14MP camera that takes high-quality stills. It’s extremely simple to use and has a versatile 10x focal length of 30-300mm, making it a good choice for vacationers or anyone who wants a solid digicam at hand. Unfortunately its HD video quality is very low-definition but if you’re looking for a quality camera—i.e. a device for capturing photographs–keep the S8000 in mind. 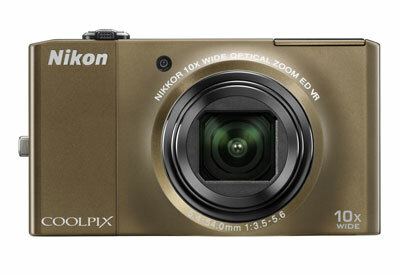 Check out our full Nikon Coolpix S8000 Review. The soon-to-be-introduced Z800EXR is the replacement for the Z700EXR. While it has similar features, it’s actually $50 less than last year’s model ($229 MSRP). We’re big fans of trends like this. 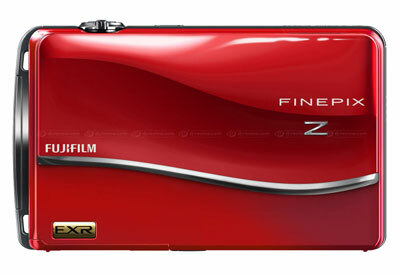 What we like about the Z800EXR is its extremely compact size (.8-inches thin) that easily fits in your jeans or handbag. Slide down the front panel and the 3.5-inch touchscreen LCD comes to life. 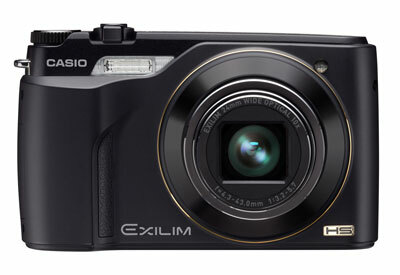 The 12-megapixel camera has a solid 5x optical zoom and takes 720p HD videos. It’s available in red, gold, black and pink so it really stands out. The 14.1-megapixel SD3500 IS (around $289) has a huge 3.5-inch wide LCD touchscreen that’s among the best we’ve used (Sony is on a par). You can customize your photo settings by simply dragging icons to preferred on-screen locations, then use “taps” to switch between images during playback. A 24mm ultra-wide angle lens with 5x optical zoom gets more in each shot such as big family gatherings or dramatic landscapes while optical image stabilization helps eliminate the shakes from your photos. Along with 14.1-megapixel stills the camera also takes HD quality videos. It’s available in three color variations– black, silver and pink—to fit your style. Although we’re big boosters of DSLRs, changing lenses can be a burden and a hassle. That’s why mega zoom cameras—with extreme focal lengths—are very popular. 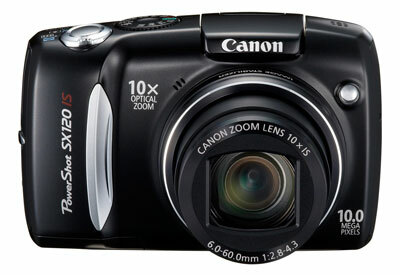 One of the most potent is the 14-megapixel $289 SP-800 with a built-in 30x zoom, the widest range available (28-840mm!). You can easily capture nice landscapes then zoom into a tree branch on a faraway mountaintop. Two types of image stabilization help eliminate blur, an important feature given the extreme telephoto range. 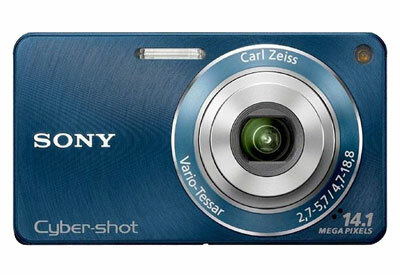 For around $229, the 12.1-megapixel ZS5 is a solid, take anywhere camera. Not only does it have a very wide-angle lens (25mm) for dramatic land- and cityscapes, it reaches 300mm, thanks to the 12x zoom. The package is nice and compact, making it a real plus for vacationers or anyone who want good photos. 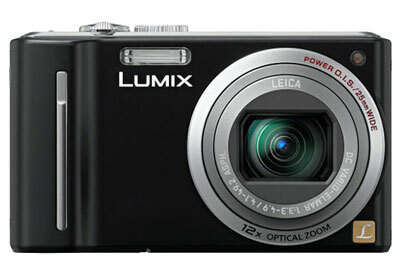 The ZS5 has Panasonic’s well-respected optical image stabilization system, a 2.7-inch LCD and takes 720p high-definition videos. It’s great taking your camera anywhere—especially on an outdoors adventure. You can take the $249 12.1-megapixel W90 snorkeling (down to 20 feet), drop it from your hand (from 4 feet), even take it out during a snowstorm. Another cool feature? The camera has special LED lighting so you can take great macro close-ups. 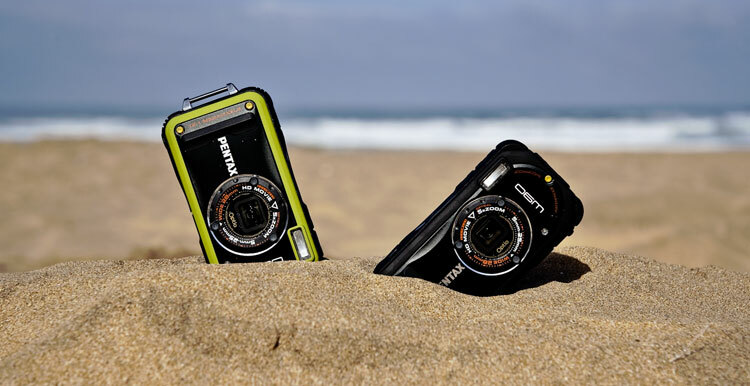 The W90 also has a 5x optical zoom, a 2.7-inch screen, takes 720p HD videos and is available in orange, black or green to match your backpack. 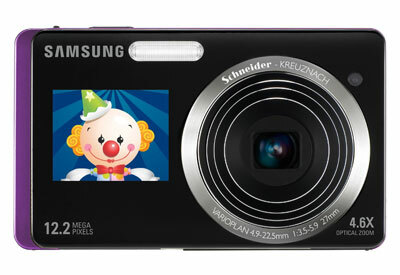 Samsung really broke the digicam mold with its DualView line-up. 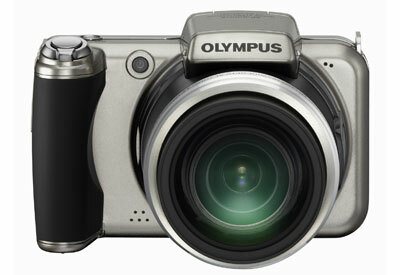 The cameras have the typical large LCD on the back to frame and review your shots. The surprise is a 1.5-inch screen on the front that makes it incredibly simple to take properly-framed self portraits. It can even act as a “watch the birdie” trick for kids since it shows animations to get their attention. Along with this unique feature, the TL225 is a solid 12.2-megapixel camera with a 4.6x zoom (27-124mm) plus is has a beautiful 3.5-inch touchscreen LCD (around $215).